Green Aviation Summit: radical aircraft ideas under construction! project to enable future noise reduction. Caution: radical aircraft ideas under construction! their fan blades, are very efficient engines. Testing at NASA Glenn is progressing. Sept. 9, 2010, 9 a.m. 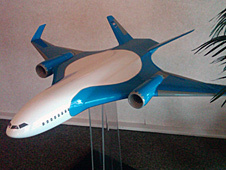 I asked Dryden’s X-48B & C project manager Tim Risch why he thought the blended wing-body airplane got a lot of notice at the Green Aviation Summit. 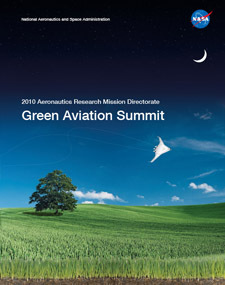 Sept. 8, 2010, 8:45 a.m.
By way of further introduction,this two-day seminar will explore the depth and breadth of the NASA AeronauticsResearch Mission Directorate¹s work in environmentally responsible aviation.The challenges for green aviation will be addressed, along with some of thegroundbreaking solutions being developed by NASA. are directed at mitigating the environmental impact of aviation. direction for near-and far-term research and development. panel discussion that will provide a view of their emerging technologies. curtain for a look at the future of green aviation! Sept. 8, 2010, 9:05 a.m. Welcomes and intros are done, compliments of NASA Ames’ director Pete Worden. First speaker up was Dr. Jaiwon Shin, NASA’s Associate Administrator for Aeronautics Research. 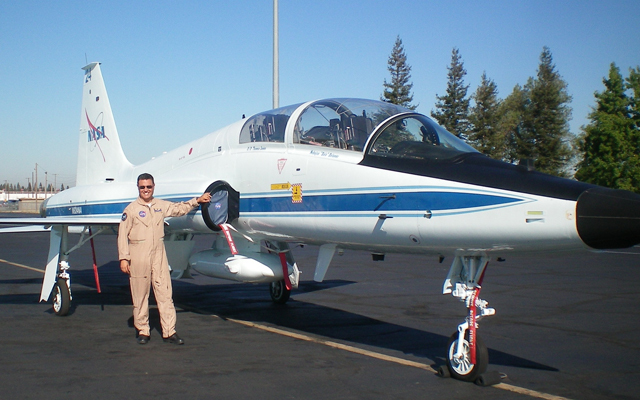 He gave an overview of the NASA Aeronautics Research Mission Directorate, or ARMD for short. 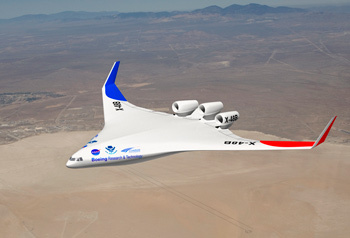 He then described the success and utility of the X-48B Blended Wing Body research aircraft being flown at NASA Dryden. BTW, I’m not alone; there are several fellow NASA Dryden Flight Research Center folks attending. We’ll see if we can’t chat with some of them later during breaks. According to NASA Green Aviation Summit speaker Dr. MarkLewis, AIAA President, aircraft design has been driven byperformance since thebeginning, when the U.S. Army contracted with the Wright brothers for the firstmilitary aircraft. This is still the case. Now, NASA Aeronautics is looking tochange that by focusing on improved propulsion solutions, alternate fuels,advanced aerodynamic configurations, and even conservation, i.e., flying lessin order to conserve fuel.